Brexit is largely to blame for a nearly 6 percent decline in new car sales in the U.K.in 2017. 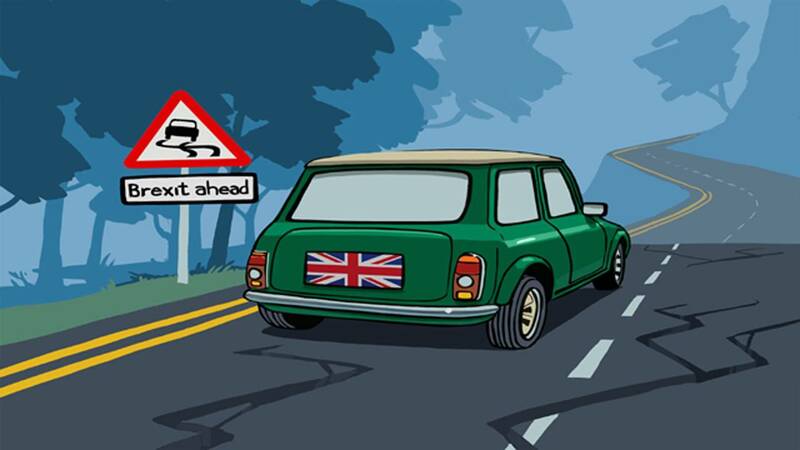 LONDON (CNNMoney) - British car buyers are running out of gas. New car sales in the U.K. slumped in 2017, down nearly 6 percent from record levels in 2016. And Brexit is taking much of the blame for the first annual decline since 2011. "Obviously consumer and business confidence has dropped since the [Brexit] referendum," said Mike Hawes, chief executive at the Society of Motor Manufacturers and Traders (SMMT), which represents automakers. "2017 has undoubtedly been a very volatile year and the lackluster economic growth means that we expect a further weakening in the market for 2018," he added. In the months following the vote to leave the European Union, economic growth in the U.K. slowed, the pound dropped sharply, inflation shot up and wages didn't keep pace with the rising cost of living. Consumers and business owners have felt the pinch, with many holding back on making big-ticket purchases. Car sales in the UK dropped for nine consecutive months in 2017, down to 2.54 million for the year as a whole. In December, sales were down by just over 14 percent compared to the same month the previous year. Brexit isn't the only source of pain. The SMMT noted that the government's anti-diesel rhetoric had hurt diesel sales, which make up over 40 percent the market. A higher tax on diesel vehicle purchases is being introduced this year, and the government recently announced plans to ban sales of new gasoline and diesel cars starting in 2040 as part of a bid to clean up the country's air. Diesel car sales dropped 17 percent last year. The gear change in the U.K. comes as consumers in other parts of Europe keep spending on cars, with overall new car registrations between January and November up by just over 4 percent, according to the European Automobile Manufacturers Association. Sales were particularly strong in Italy and Spain, up by nearly 9 percent and 8 percent, respectively. The European auto agency has not yet reported annual data for the region.